Cast Flows: a collaboration with Feathercast Limited. A happy meeting during an artist day aboard the P&O ship Brittannia, led to a collaboration with Emma Pearson, who’s company, Feathercast, specialises in casting with Jesmonite, in all its forms. Collaborations always takes longer than expected; learning from one another to understand the process and material limitations we each have. We ask questions which eventually push into new adaptions and reap rewarding results. We set out to cast Flow, so that it can be presented for repeat installations and multiple use. The delicacy and the deep undercuts of Flow have required a new approach to my building and have tested Feathercast’s silicone moulding. 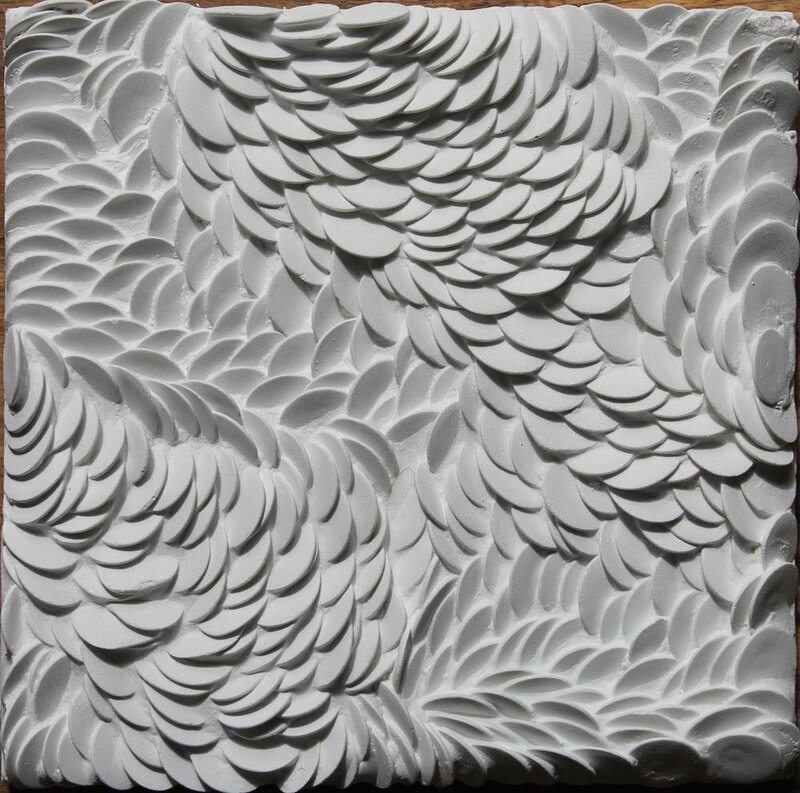 At Decorex International, as part of the London Design Festival this year, we are launching “Stream”, a long panel of cast Flow (limited edition of 50) and “Swell”, a large cast panel of Flow which can be repeat-mounted to form a continual pattern. Both are cast to order in any stone finish and can be used for interiors or outside.